The workouts were designed by me — so if you don’t like them you can blame me!! I spent the last 12 months developing ballhandling and footwork workouts that players can do in their driveway, their basement, on the court, or anywhere they have 20 feet of flat surface. I shared the workouts with our 3rd graders, 5th graders, and 10th graders. And the results have been really good so far! I’d say about 75% of the players do the workouts on a consistent basis. Several of the players actually do the workouts daily because they are fun and flexible (most of them do the workout in their driveway or basement). I used a new web-based program that offers a lot of features that I think coaches are really going to like. The program includes a new “coaches dashboard” that is pretty cool! Basically you can share workouts with players, monitor their progress, motivate them, track stats, customize your own workouts, filter out certain drills, and so forth. And you can of course just share the workouts I created with your players. I designed workouts for every age level and every skill level. I tried to make it as easy as possible for coaches to share the workouts with players and get results. We’re looking to get some beta testers to try it out before we officially release it to the public. So for a few days you can try out the program and get a 50% discount. UPDATE 8/25/2015 – Beta Testing is complete and the 50% discount is no longer available. 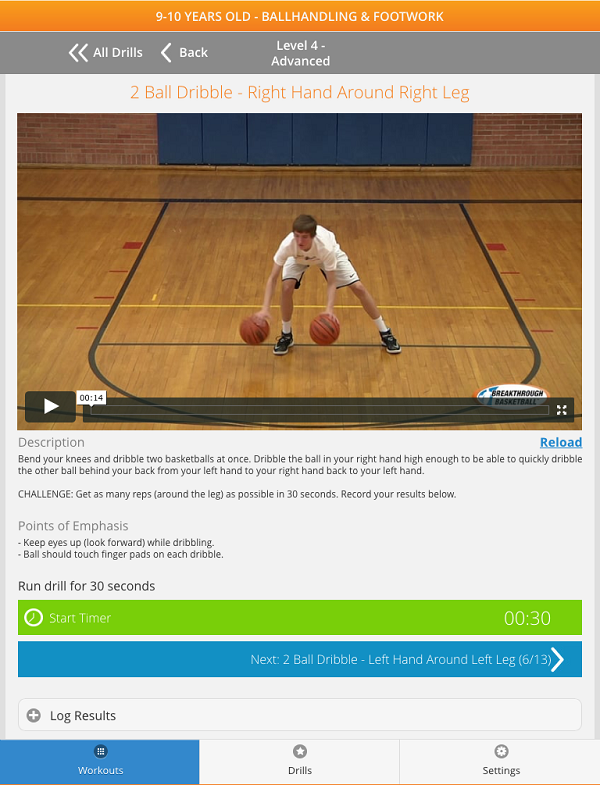 Note that a few videos are missing from the advanced workouts for the older players. We just shot the video for those drills yesterday. And should have them edited and uploaded into the program next week. You probably won’t even notice, but just in case you do, the videos will be added soon. Anyway, check out the new workout program and if you have any questions, let me know. If you pick up a discounted beta copy, I only ask that you give me feedback. Thank you!